Sunday's Folds of Honor QuikTrip 500 at Atlanta Motor Speedway. his first win as a NASCAR Cup Series driver. 1.54-mile oval than anyone else. 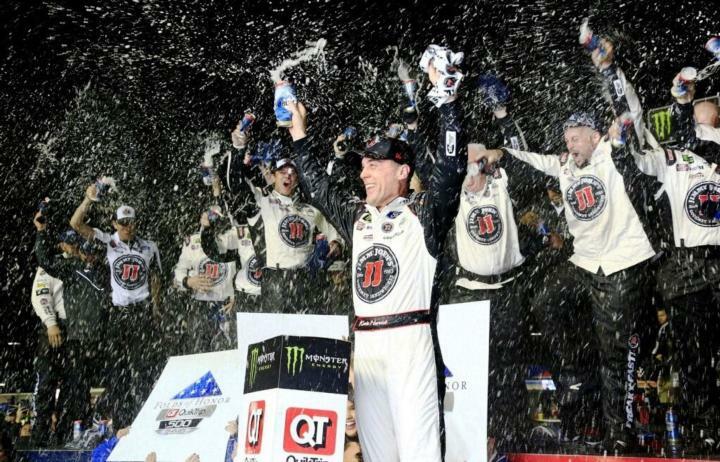 to Dale was pretty cool," Harvick said. "I've been waiting a long time to do it. here and it's good to be back in Victory Lane. Finally." Getting another win has eluded the No. 4 car, though. battling with Keselowski late, pulled away for a definitive victory. coolest part was being able to replicate that first win celebration." Harvick won Stage 1 and then his pit crew had trouble with the air gun. tool, but he had to come back around for another stop to tighten the lugs. Harvick went from first to 19th. five laps after that, Harvick was back out front. Denny Hamlin, continued to jockey for the lead for the next 100 laps. kind of ended up where we should have." stops you have here at Atlanta, that can be critical to a team's success. could at them, we just didn't have enough." starting 27th. Only 13 cars finished on the lead lap. and heads to Las Vegas qualified for the 2018 NASCAR Playoffs. payment plans, a limited-edition commemorative race ticket, and more.